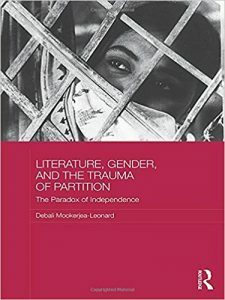 Debali Mookerjea-Leonard's 'Literature, Gender and the Trauma of Partition: The Paradox of Independence' resonatingly treads a line between fact and fiction to show that there was no easy escape for the victims and survivors of the tragedy. The works discussed in Literature, Gender and the Trauma of Partition are mostly from Bengal, which the author calls the “neglected shelves” of Bengali literature, written by writers from both sides of the Radcliffe divide. As she mentions in the Preface, this book is her tribute to her city, Calcutta. It is also a conscious effort to shine a light on the sufferings of those at the eastern end of the divide, as the tragedy of Partition in Bengal has been either underrepresented or misrepresented when compared to Partition in Punjab. This could well be attributed to, as Mookerjea-Leonard is cognisant of, the predominant and recurrent theme of displacement in the east as opposed to that of horrific violence in the west. The author is quick to refute this astoundingly regressive suggestion by bringing in a text that not only challenges but categorically rejects Gandhi’s idea of preserving feminine honour through self-sacrifice. In Jyotirmoyee Devi’s short story, Epar Ganga Opar Ganga, Sudam, a member of the cobbler caste is left disconsolate when his wife Durga is forced to commit suicide following her violation by Pakistani officials, who hold her as “security” while they send off Sudam to bring money to pay for crossing the border. Unable to come to grips with his wife’s death, Sudam is ready to pay money and even convert to Islam if only to have her back. At no point does he feel righteous about her action to end her life. Besides being a sharp repudiation of Gandhi’s idea, the story is also a commentary on how the very notion of honour is a product of an upper class, patriarchal superiority. Regardless of the time periods or geographic locations in which they occurred, conflicts have turned a woman’s body into a war zone in itself. A woman is a readymade political tool; her chastity is equated with grandiloquent ideals of nationalism. Ravaging her body, therefore, is the easiest way to establish the authority of one community or socio-political grouping over another. The story of Partition is thus also the story of scores of raped and abducted women, “defiled” to teach the rival community a lesson. Mookerjea-Leonard gives readers a good look at the fates of these women with her close reading of Jyotirmoyee Devi’s Bengali novel, Epar Ganga, Opar Ganga (separate from her short story of the same title) and Rajinder Singh Bedi’s Urdu short story, Lajwanti. In both stories, the female protagonists are raped and abducted by Muslims. When they return to their own communities, they are anything but welcome. While Sutara, Jyotirmoyee Devi’s protagonist, becomes a second-class stepchild for her own mother after her tainted return, Lajwanti, the eponymous heroine of Bedi’s story must live a loveless, artificial life after her return – one in which her husband deifies her and stops all intimate relations. Sutara is able to find love in her life after the abduction, but what truly shines through her experiences is the bond she forges with other refugee women during her tenure as a lecturer in Delhi. In Calcutta in particular, the lives of a lot of Bengali women affected by Partition took a trajectory that changed the city’s gender dynamic forever. A chapter with the self-explanatory title, Teachers, train hawkers, sales-girls takes the reader through train compartments and telephone exchanges, offices and educational institutions – venues where refugee women, torn asunder from their known universe, found a means of survival and livelihood. From a gendered perspective, this was a significant disruption as the refugee woman’s entry in the workplace opened the doors for other, non-displaced women to do the same. Of the literary works featured in this chapter, Samaresh Basu’s story, Pasharini (Hawker Woman) poses the most intriguing of scenarios. Pushpabala, Basu’s protagonist, takes to selling handmade rag dolls to train passengers after landing in Calcutta as a Partition refugee. That she enters what was until then an exclusively male bastion is in itself revolutionary. This, Mookerjea-Leonard infers, makes for a fluid remodelling of the refugee working woman. She becomes an androgynous entity, exhibiting the traits of both a man and a woman. Through two of Narendranath Mitra’s stories, Mahanagar (also made into a film by Satyajit Ray) and Durabhashini, the author exposes the anxieties of patriarchy in the face of the altered work dynamic. The refugee working woman, feisty as she is, must negotiate not only professional challenges but also jealous husbands, disgruntled fathers-in-law and lecherous male customers. In all this, like for Sutara in Epar Ganga, Opar Ganga, the women find solace in workplace friendships with other women. In contrast are their counterparts born in a new country of their parent’s choosing. There, the birth of a child sparks in his parents both hope and an affirmation of their life and dreams on a new soil, one that drew the parents as displaced, but was seized as personal by the child with the mere act of its birth. 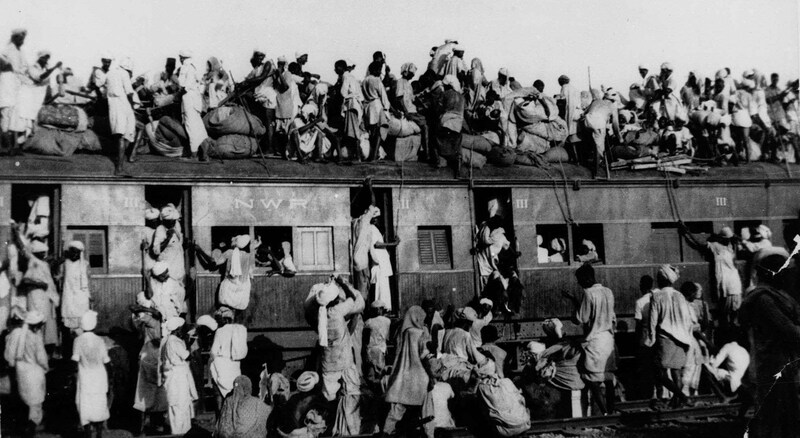 Identity lessons, the book’s last chapter, bares something even more disturbing in the context of Partition’s children. Using the works of two literary heavyweights, Bhisham Sahni and Manik Bandopadhyay, this chapter shows how differences and prejudices are injected in children, often in the most dehumanising of ways. In Sahni’s story, Pali, a little boy separated from his family in Punjab in the tumult of Partition violence, lands is Pakistan and is adopted by a Muslim couple. He is eventually traced by his biological father and brought back to India. By referring to contrasting passages from the story and her sensitive interpretation of those, Mookerjea-Leonard reveals the child’s trauma, twice over, of separation, and his education in “othering” on the basis of religion. Bandopadhyay’s story, Chhelemanushi, loosely translated to “childishness,” exposes the tenuousness of man-made boundaries and children’s easy, even unconscious transgression of the same. While Habib and Gita, two young friends, are aware of their religious identities, in their everyday games, they enter each other’s “territories” without mental constructs of barbed wires or police patrols. 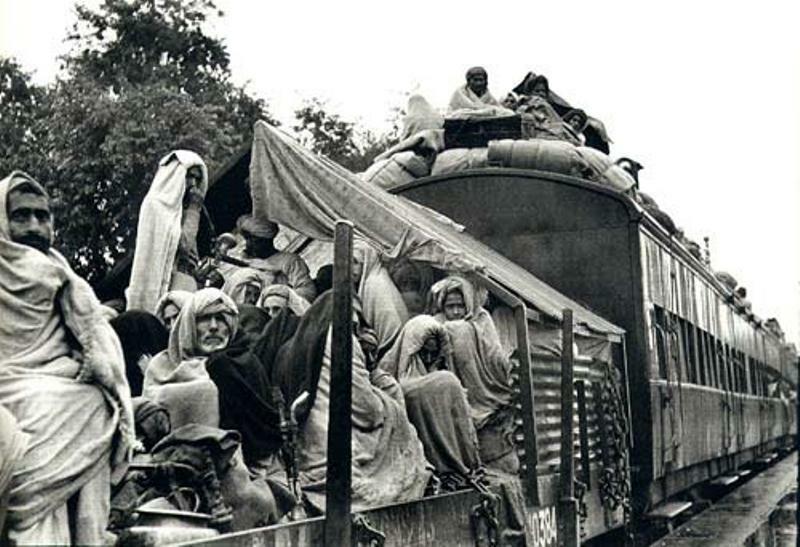 If Partition were a coin, it would possibly have blood marks on one side and an image of a home on the other. Geographies of belonging is an entire chapter is dedicated to the corners that make up home. For those permanently uprooted from the place they knew as their own, home wasn’t merely a structural edifice. It was their linguistic, cultural and social universe, one they tried to lug along with the baggage of material belongings to their new, forced, homes – foreign countries for reasons more than just unfamiliar lines on a new map. The author cites Amitav Ghosh’s novel, Shadowlines to highlight how memory shapes and reshapes the contours of one’s lost home. A refugee in her new bearings clings to the past not only out of nostalgia but because it represents a time of peace and stability unlike her volatile and violent present. In one place in the book, Mookerjea-Leonard counters a criticism regarding the documentary-like nature of Partition literature in Bengal. This fact-reliant, realism is the very reason, the author argues, for the “current resurgence of interest” in these literary works. More importantly, by scrupulously peeling off the many layers of Partition trauma, she shows us that for the victims and survivors of the dreadful tragedy, there was no easy escape. And that even coincidences didn’t always lead to happy endings. 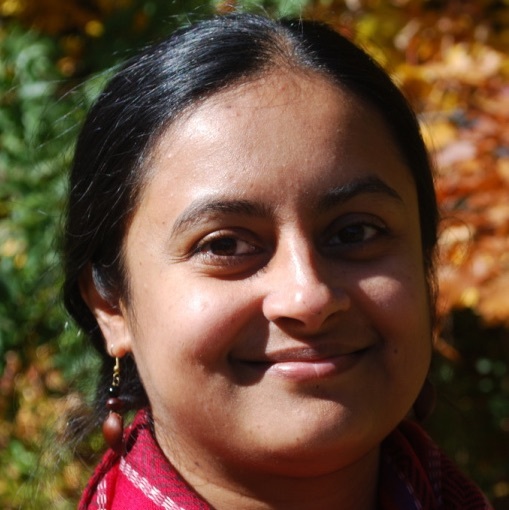 Combined with her scholarship, Mookerjea-Leonard’s affection for the subject makes Literature, Gender and the Trauma of Partition a fascinating read.